The Nationwide Insurance: Bob A Malhotra in Petersburg, WV provides the following products. To learn more about each insurance product, click on the links below. Insurance is all about bringing you peace of mind by protecting your assets. That's why it's important for your coverage to meet your needs, especially for something you depend on like your vehicle. Bob A Malhotra understands this, which is why our agents work with Nationwide to provide auto insurance coverage that is easily personalized to fit your needs in Petersburg. Bob A Malhotra builds policies with both you and your vehicle in mind, customizing the types and levels of coverage to fit. This means helping you understand how you could benefit from comprehensive coverage that protects your vehicle, even when it's not in use. It also means helping you understand how much property and injury liability you need, and what level of collision coverage will help you most in the event of an accident. Members also have the opportunity to take advantage of Nationwide's discounts for which they may qualify, such as for vehicle safety features or safe driver habits. To learn more about our policies, or to buy one, contact our offices at (304) 358-2566. Or, call to schedule an appointment at our office at 442 Virginia Ave.
Congratulations on becoming a proud Petersburg homeowner! With all of the energy and resources you spent searching for and bidding on your home, Bob A Malhotra knows the last thing you want to do is spend hours finding a viable insurance plan to protect your investment. With our help, along with the teamwork of Bob Malhotraand the knowledgeable folks at Nationwide, safeguarding your home and all of your belongings can be a smooth process. Insurance is one of life's many little necessities, and a requirement in some cases, but it's best that you take your insurance needs seriously, because we certainly do. Our goal is to provide you with all of the information you need to be sure that your home is protected if something unexpected occurs. Bob Malhotra can talk you through determining the value of your belongings which can help you avoid underinsuring yourself. We also make sure your customized plan is explained to help you understand which risks are and are not covered by your plan, and you'll be well-educated on how your deductibles work. When members come to us, we want them to leave feeling as if they know more about insurance than we do. If your home is currently in construction, or even if you're just thinking about buying a home, we'd love to have the opportunity to chat with you about your options and any discounts for which you may qualify. Whenever you're ready, pick up the phone and dial us up at (304) 358-2566 or visit us at 442 Virginia Ave. When you’re ready to purchase life insurance, it helps if you start off by choosing a good life insurance agent in Petersburg. Whether you already have a policy and are looking to update coverage for yourself or you’re ready to start a family and want to learn coverage options, you’ll need an agent that is as good as the insurer they represent. At Bob A Malhotra, our agents work hard to provide customers with the service and coverage options they need to strengthen their families’ financial security and help them enjoy peace of mind. If you’re not sure how to get the coverage you need or are not sure if your current policy is enough, feel free to stop by 442 Virginia Ave, Petersburg, WV, 26847 to speak with Bob Malhotra. You can also contact them directly by dialing (304) 358-2566. As a small business owner, you need to protect your investment. Separately purchasing each type of insurance you need can be costly and time-consuming, but there is a better option. A business owner's policy, also known as a BOP, from Nationwide combines some of the most important types of insurance into one easy-to-use policy. 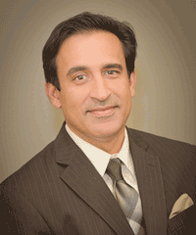 Bob A Malhotra can help you create a BOP plan to meet your specific needs. Choose from packages designed for auto service businesses, retail businesses, food service companies, service businesses, or office companies. We can even create a custom plan based on your company's specific needs. BOP plans traditionally include property damage, general liability insurance, and income loss coverage due to an interruption, but we can also offer cyber liability, hired and non-owned auto insurance, accounts receivable, and several other options for your business. You may be wondering why you should choose a policy through Nationwide and Bob A Malhotra. Simply put, Nationwide is the number one small business insurer in the country, having had the pleasure of protecting more than 500,000 small businesses in the United States. You will even receive an annual On Your Side® Review to make sure you still have the best protection available for your needs. To learn more, call us at (304) 358-2566 or stop by our offices on 442 Virginia Ave. Nationwide offers small business resources to help you strengthen your business, such as financial calculators and information and articles on marketing and cash flow management. Learn more at the Business Solutions Center.